Last month I was invited to give the keynote address at the Adventure Travel and Responsible Tourism Conference and Mart, put on by the Pacific Asia Travel Association, and held in Al Ain, Abu Dhabi, United Arab Emirates. (Whew, that was a mouthful!) I spoke on the cultural trends that the adventure travel industry should be paying attention to for the future. There was little time to explore this fascinating area of the world. Al Ain is the UAE's fourth largest city, after Dubai, Abu Dhabi, and Sharjah. But I did manage to take these snaps. 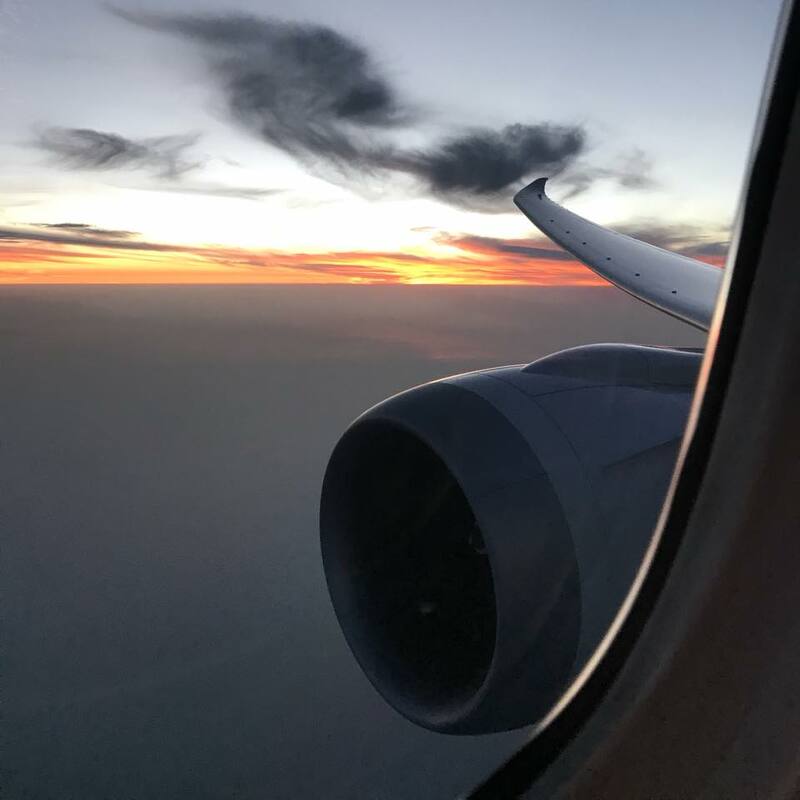 Somewhere over the Persian (or Arabian) Gulf. Sky. Shape. Shadow. A 100-year-old fortress is now part of the Al Ain National Museum complex. I’m in Al Ain, a city built on an oasis in Abu Dhabi, UAE. Recognized by UNESCO as a World Heritage Site, the area has been continuously occupied since Neolithic times. That’s between 6,000 and 12,000 years ago, people! 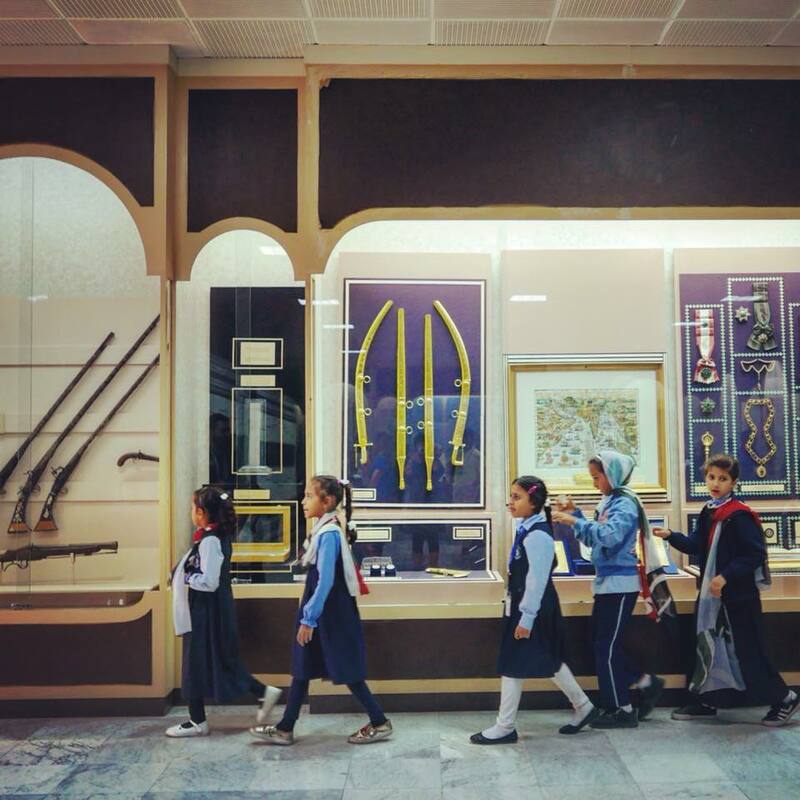 Schoolchildren file past an exhibit of gifts given to Sheikh Zayed. Education, healthcare, and most other social services are free to citizens. Interestingly, about 80 percent of the population are foreigners, representing the majority of the workforce. Al Ain, Abu Dhabi, UAE. You’ll never have a bad date here. Al Ain has been an oasis for thousands of years, and ancient irrigation channels have been unearthed, some still in use. Delicious and varied types of dates grow here, up high in these beautiful and shady palms. Al Ain, Abu Dhabi, UAE. 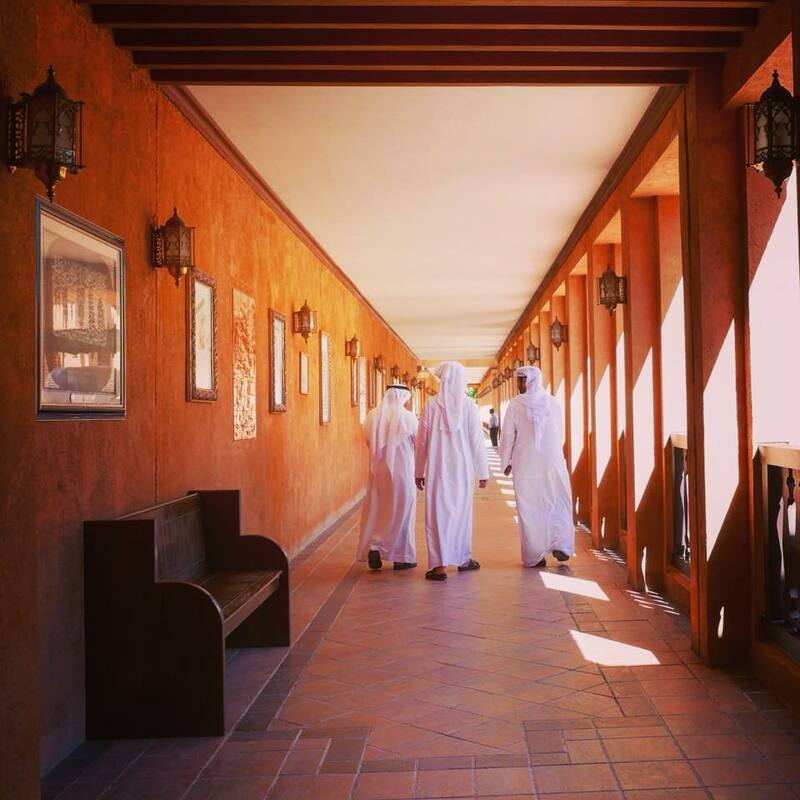 It’s worth taking the time to learn about the fascinating history and culture of this emirate, from its roots as a desert culture, to its stint as a British protectorate, to its discovery of oil and natural gas, to its rapid reinvention and vision for the future. The Sheikh Zayed Palace Museum is a great place to start. Al Ain, Abu Dhabi, UAE. Qasr al Muwaiji, a century-old fortress where the current ruler of Abu Dhabi and president of the UAE, Sheikh Khalifa bin Zayed Al Nahyan, was born. It’s now a museum and event venue. A docent at the Qasr al Muwaiji demonstrates colorful and ornate clothing worn in the house or under traditional black outer garments. Women in Abu Dhabi have more freedoms than women in some other Arab countries, although they do not have the same rights as men. Female expats and travelers do not need to cover up. Stocking up on dates at the Abu Dhabi airport. 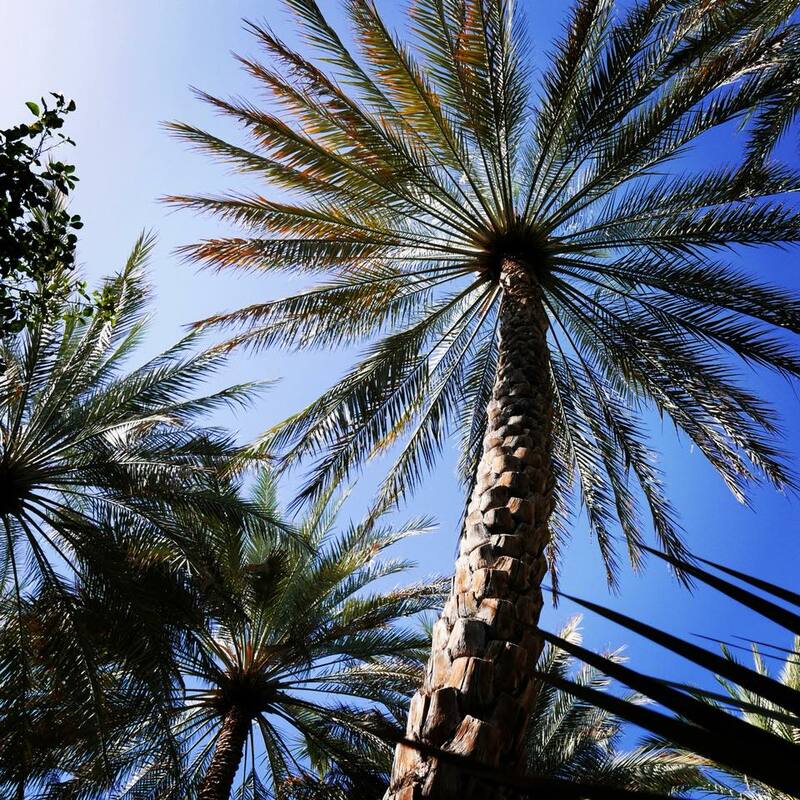 The some 200 varieties of date palms in the UAE produce 76,000 tons of the fruit a year. They’re high in fiber, potassium, copper, and magnesium. And trust me, these top-quality ones are far more delicious (and expensive) than the ones available at the grocery store at home. Photos © Norie Quintos. Conference photo courtesy PATA.